Any agreed “victims’ candidate” standing against Sinn Fein in the West Tyrone by-election must “command respect across the community” – and also be capable of representing the constituency on wider social and economic issues, a leading victims group has said. The prospect of the main parties standing aside for an anti-Sinn Fein candidate has divided opinion among victims of terrorism. The idea was floated soon after Sinn Fein’s Barry McElduff resigned his Westminster seat – 10 days after he appeared in an online video with a Kingsmill-branded loaf on his head on the anniversary of the Kingsmills massacre of 10 Protestant workmen in 1976. In recent days, Kevin Skelton, who lost his wife in the Omagh bomb, said he was prepared to contest the seat, while Alan McBride – whose wife and father-in-law were killed in the 1993 Shankill bomb – said an agreed victims’ candidate was “potentially toxic”. 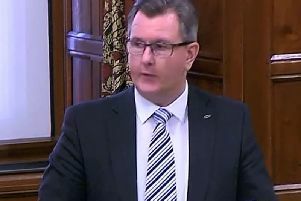 Kenny Donaldson of Innocent Victims United (IVU) said he would appeal to the political parties to ask themselves if they consider victims’ issues “to be greater than party political self-interest”, and if they believe that West Tyrone “deserves representation and a voice at Westminster, particularly as a border constituency around matters such as Brexit”. Mr Donaldson said that if the main parties agreed with that analysis, then “a way must be found to secure a candidate who can command respect across the community and truly represent victims’ issues, but also issues which impact upon the social-economic wellbeing of West Tyrone inhabitants”. Mr Donaldson said Sinn Fein’s abstentionist policy had left the entire west of Northern Ireland without a voice at Westminster at a time when the potential effects of Brexit are starting to cause concern in the Irish border regions. He added: “We do not subscribe to the view that the election need be toxic. The victims’ issues which would arise within any campaign run way beyond the events of recent weeks”.